A detailed look at the role of social responsibility in finance and investing The concept of socially responsible finance and investing continues to grow, especially in the wake of one of the most devastating financial crises in history. This includes responsibility from the corporate side (corporate social responsibility) as well as the investor side (socially responsible investing) of the capital markets. Filled with in-depth insights and practical advice, Socially Responsible Finance and Investing offers an important basis of knowledge regarding both the theory and practice of this ever-evolving area of finance. 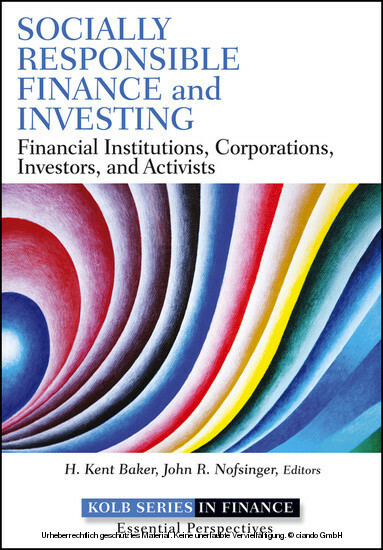 As part of the Robert W. Kolb Series in Finance, this book showcases contributed chapters from professionals and academics with extensive expertise on this particular subject. It provides a comprehensive view of socially responsible foundations and their applications to finance and investing as determined by the current state of research. Discusses many important issues associated with socially responsible finance and investing, like moral hazard and the concept of 'too big to fail' Contains contributed chapters from numerous thought-leaders in the field of finance Presents comprehensive coverage starting with the basics and bringing you through to cutting-edge, current theory and practice Now more than ever, we need to be mindful of the social responsibilities of all investment practices. The recent financial crisis and recession has changed the financial landscape for years to come and Socially Responsible Finance and Investing is a timely guide to help us navigate this difficult terrain. 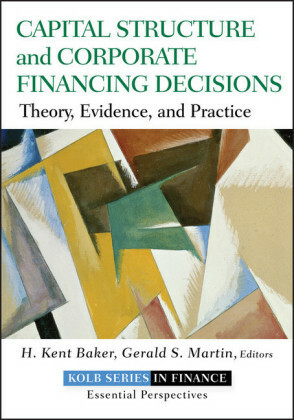 H. KENT BAKER, PhD, CFA, CMA, is University Professor of Finance and Kogod Research Professor at the Kogod School of Business at American University, Washington, D.C. As one of the most prolific finance academics, he has published 16 books, and more than 150 refereed articles in such publications as the Journal of Finance, Journal of Financial and Quantitative Analysis, Financial Management, Financial Analysts Journal, Journal of Portfolio Management, and Harvard Business Review . He has consulting and training experience with more than 100 organizations. Professor Baker holds a BSBA from Georgetown University; MEd, MBA, and DBA degrees from the University of Maryland; and a MA, MS, and two PhDs from American University. He also holds CFA and CMA designations. 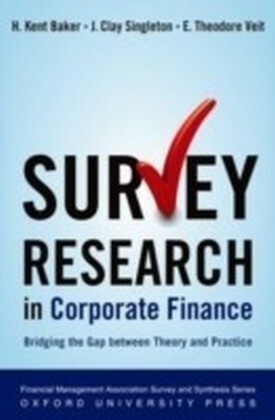 JOHN R. NOFSINGER is a Professor of Finance and Nihoul Faculty Fellow at Washington State University. 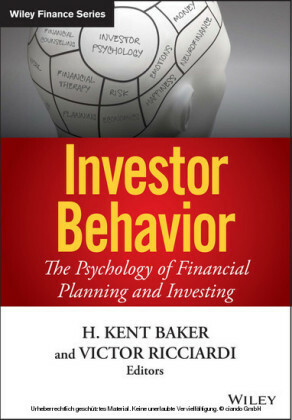 He is one of the world's leading experts in behavioral finance and is a frequent speaker on this topic and socially responsible finance at investment management conferences, universities, and academic conferences. Professor Nofsinger has also published more than 50 articles in scholarly and practitioner journals. His research has appeared in the Journal of Finance, Journal of Business, Journal of Financial and Quantitative Analysis, Journal of Corporate Finance, Journal of Banking and Finance, Financial Management, Financial Analysts Journal, Journal of Behavioral Decision Making , and many others. Professor Nofsinger earned a PhD in finance from Washington State University.